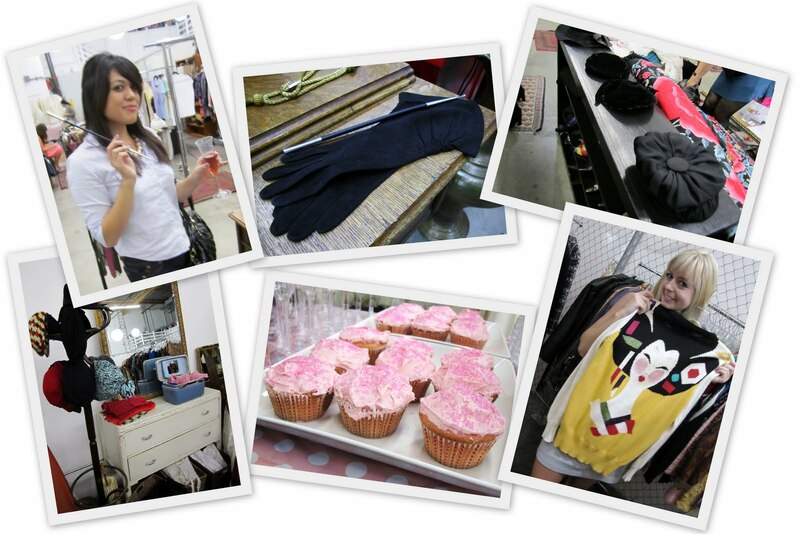 I went to Bloggers' Cafe 05 a couple of weeks ago, and it was my favorite thus far! It was like a girlie, dress-up party minus the popcorn and ice cream. It was held at the fabulous Shareen Vintage, a girls-only, trendy vintage boutique that's filled with tons of treasures from the past. 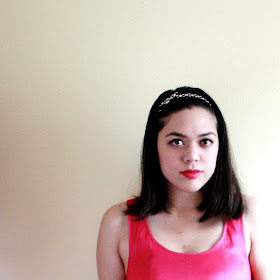 I chatted with the other bloggers, drank pink champagne, and munched on strawberry cupcakes (yum!). I hung out with Natalie mostly, who kept me entertained by playing dress-up with some of the more eccentric pieces while we browsed the shop and commented on the things that caught our eyes. There were so many beautiful things including leather gloves, powersuits from the 80s, plaid school girl dresses, silk scarves, and fur stoles to name a few. I wish I knew about this place when I had prom in high school! There were all these cute tulle gowns and dresses that I loved. 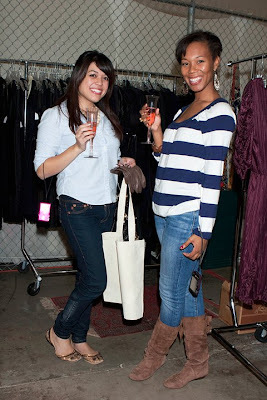 It was a great night and I had fun catching up with all the bloggers and checking out all the pretty things.